Everyday, we are exposed to environments in the workplace that generate more noise levels than our ears can handle. Noise levels above an 80 to 90 decibel range, on average over an eight hour workday, are considered hazardous to your hearing health. For perspective, some sporting events can produce levels of 105 to 110 DB, using a jackhammer on the street is around 110 to 115 DB’s. One single noise level moment in the workplace can lead to permanent damage to your hearing. In fact, occupational hearing loss is the most common occupational illness in manufacturing. Taking the right steps now to understand this, and consider the appropriate gear to prevent it, can reduce health costs later in life for your business, and your employees. As the number one sensory disability in the world, and in workplaces, hearing loss is 100% preventable. Nova Communications has a number of fantastic brands to choose from when it comes to headsets for the workplace. Today, however, we’re going to talk about 3M Peltor headsets, and the benefit they have for hearing protection. Let’s start with the obvious – noise reduction. Hearing protection is selected for you, the user, based on the noise exposure at your workplace. Some things to consider when looking to find the best product for you includes the Noise Reduction Rating (NRR) for the product – a number that describes the overall sound level reduction in decibels based on testing. Now let’s talk about headsets. With lightweight and heavy duty accessory options, 3M headsets are just the ticket for noisy industries. The headsets are offered in various positions: over the head, behind the head, and cap attached. Other factors to consider when looking at headsets for your employees? Comfort, fit, ability to communicate and compatibility with other workplace tools. 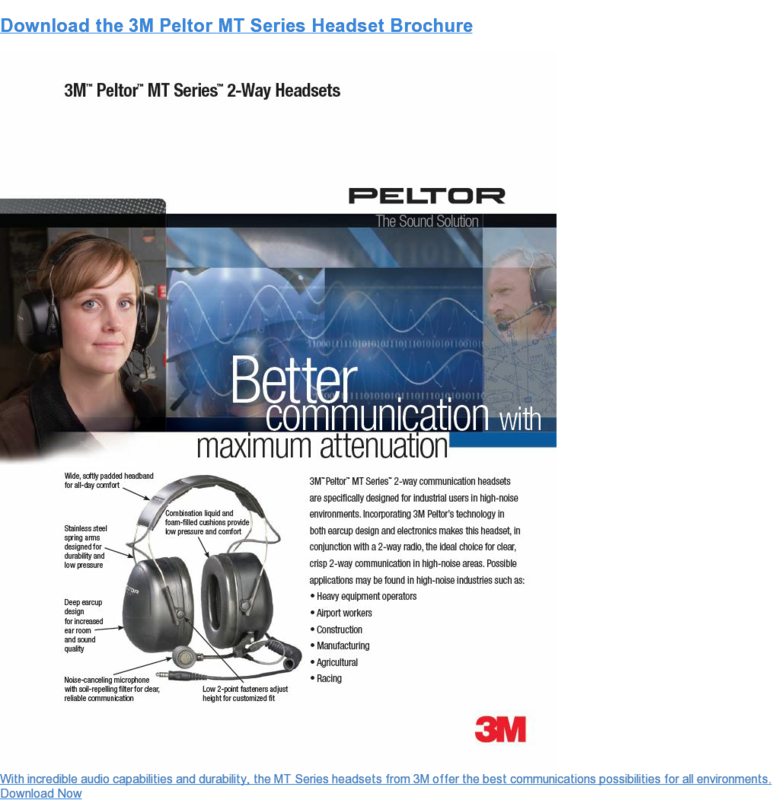 An added benefit of the 3M Peltor product is, other than Motorola headsets, 3M is the only intrinsically safe certified headsets compatible with Motorola products, and all of their headsets are compatible with Motorola two way radios. If you’re working in environments with exposure to vapours or flames, and using two way radio technology, this is vital. 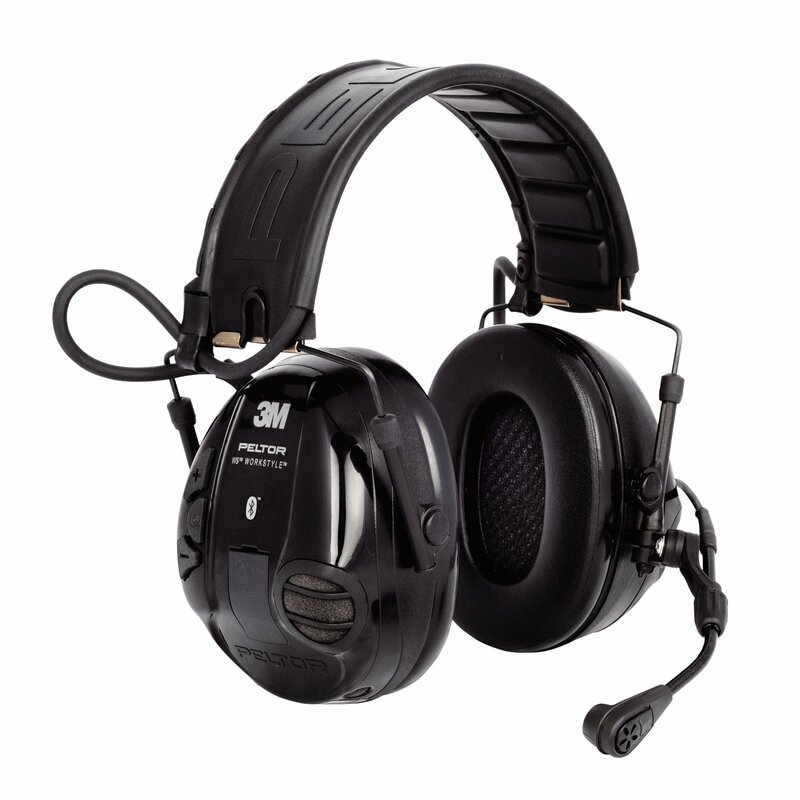 An amazing bonus feature of the 3M Peltor headsets is the noise canceling feature of the tactical pro line. These headsets cut out dangerous noise levels and amplify the sounds you near to hear – like voices, signals and warnings. There are plenty of additional features with these 3M headsets that are also worth considering – including wireless capabilities, Bluetooth, push-to-talk (PTT), one-way audio and, of course, two-way audio. While you may think having a headset can be an uncomfortable step for you, 3M headsets are known for being comfortable, reliable and durable – afterall they’re made to withstand tough industries. Headsets are not a one size fits all option, and that’s no different with these products, but the right protection for the right employee is implemented into the purchasing details. Nova Communications has the knowledge and expertise to work with you to understand the best hearing protection devices for your workplace and environment. Contact one of our team members today to find out more about 3M Peltor and other products.